Franklin Floors is a full service floor covering company owned and managed by the D’Antuono family since 1969 and currently operate out of our 15,000 square foot office and warehouse. Franklin Floors provides quality customer service with extensive, state of the art equipment, and a knowledgeable staff. We not only have enormous buying power, but we have partners in all of the major brands, mills and manufacturers. We’ve done the research for you. Just tell us your needs, and we’ll satisfy them beyond your expectations. 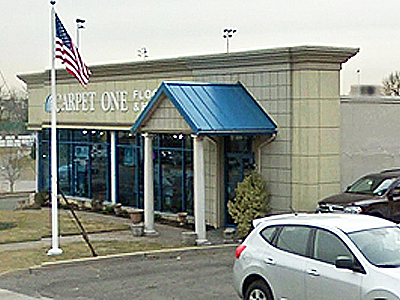 In Nutley look to us for one of the largest selections of carpet, hardwood, laminate, ceramic tile, vinyl, area rugs and more – and you’ll always find the best products and great savings… every day. Our exclusive brands like Lees®, Tigressa®, Bigelow®, Resista® Soft Style, Rustic River™ Hardwood, Invincible™ Hardwood & LVT, and Laminate for Life™ set the industry standard for beauty, style and quality. In fact, every floor we offer at Franklin Floors has more than surpassed our own high standards of performance and comfort. Franklin Floors is so sure you’ll be 100% happy with your new floor, that we offer The Beautiful Guarantee. If you aren’t happy with your floor for any reason, we’ll replace it at no cost – including installation!